I have to say that I’m not a very glam, sparkly kind of girl. I do have some Miss Me jeans with big crystals on the back pockets, but having found deep scratches on my lovely wooden dining chairs, to be honest I have really gone off wearing them. So when I was texting my friend Heather last night and mentioned that I was having a mental block, you can imagine how quickly I jumped on her offer of using some of her sparkly items in my picture. For a person whose only claim to knitting is a few tortured attempts at Brownies about 35 years ago, I’m in awe of anyone who can make it look so effortless. In the background is one of her many baskets filled with yarn, and to the right is a fair isle knitted hat that incorporates the lovely white yarn in the center of the photograph. Pinned to it’s side is one of a pair of inherited crystal earrings bought many years ago in Ayrshire, Scotland. Now that I look at the image, the earring almost looks like a beautiful insect that was attracted to the sparkle. 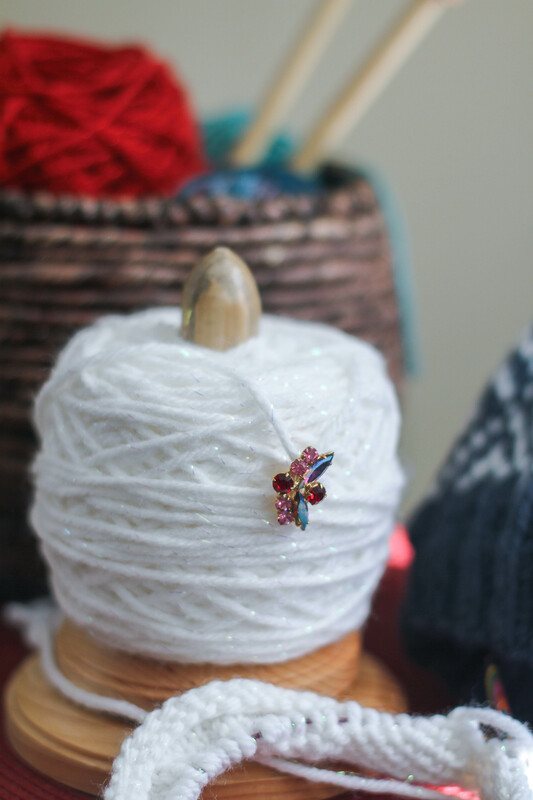 It was definitely a challenge to capture the sparkly thread in the yarn in this picture. Too much sun and the highlights blew out, so the sparkle was lost, too little light and there was no reflection. This was the third spot that the items were set up in, at around 9:45 in the morning. The image was taken in a sun room with many windows, so light streamed in beautifully from a window to the side. As it was so sunny, my ISO was set at 125, and my shutter speed was reasonable fast at 1/320. I set the aperture at f/2.0 so that I could focus on the earring, but still keep some of the yarn in focus. In post processing using Lightroom 4, I initially increased the exposure. I also decreased the highlights and increased the blacks in the picture. Finally, I then increased the clarity, and then to a lesser extent, vibrance and saturation. Sparkly… Didn’t have to search too far for that one. I mean, what could be more sparkly than a pair of purple glitter UGGS? 😉 Owner? Totally rad friend of my daughter, Libby. Shot taken indoors with fluorescent lighting. The edit? The Psychedelic Preset in Photogene2, of course. These boots warranted nothing less. 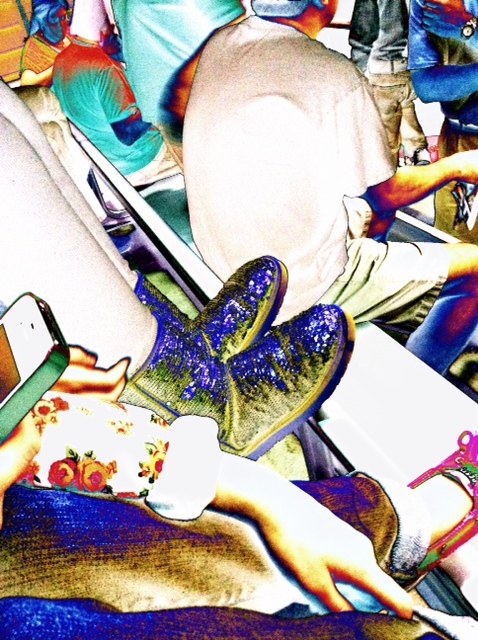 Sparkler Ugg boots…who would have thought? Very cool picture! Leave it to Heather to have sparkly yarn! !